One of the leading global investment firms, KKR and and Dutch investment firm Reggeborgh (“RB”) have expressed their intention to have partnership with Deutsche Glasfaser for the strong expansion. 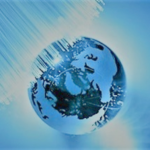 Deutsche Glasfaser plans, constructs, and operates fiber optic networks in Germany and provides German households and businesses with high speed broadband connections. KKR will acquire a majority stake in Deutsche Glasfaser….